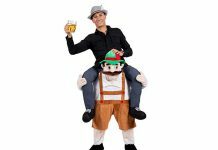 Home Blog Need A (Ski) Lift? Ten’s of millions of Euros have been spent on improving new ski lifts across Europe for the 2016/17 ski season. In this blog, I will present to you the new lifts in Austrian, French and Swiss Resorts. Let’s start with the biggest development which will change skiing in St Anton forever! Four new lifts in the Arlberg – built at a cost of €45 million – will create the biggest lift-linked ski area in Austria and one of the biggest in the Alps. 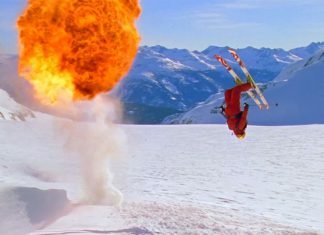 You will now be able to ski the entire 305km without getting on a bus. Read more about it here! The new lifts will connect St Anton to Zürs, which then allows you to continue your adventure to Lech, Stuben, St Christoph, Zug and Warth-Schröcken! 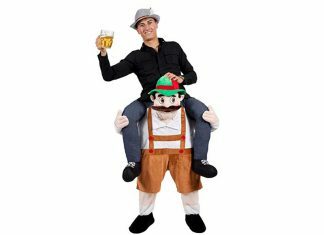 There is also an upgrade for the Oberlech lift. 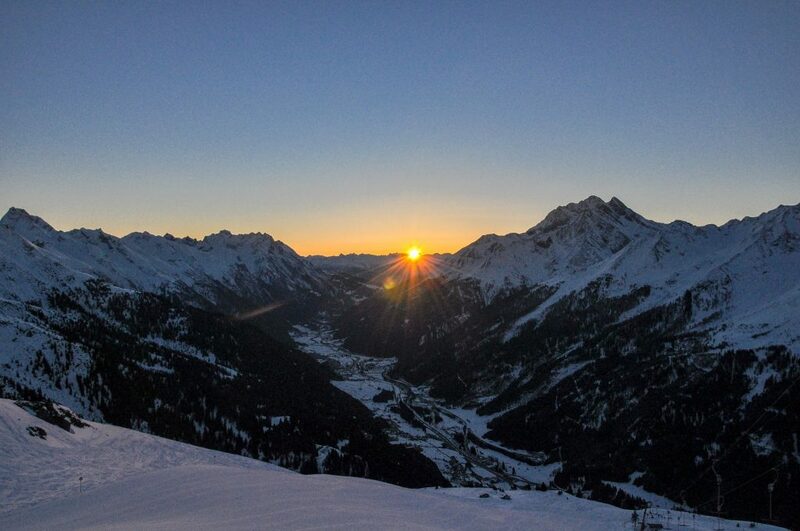 Click on the image below for more reasons to go to St Anton! 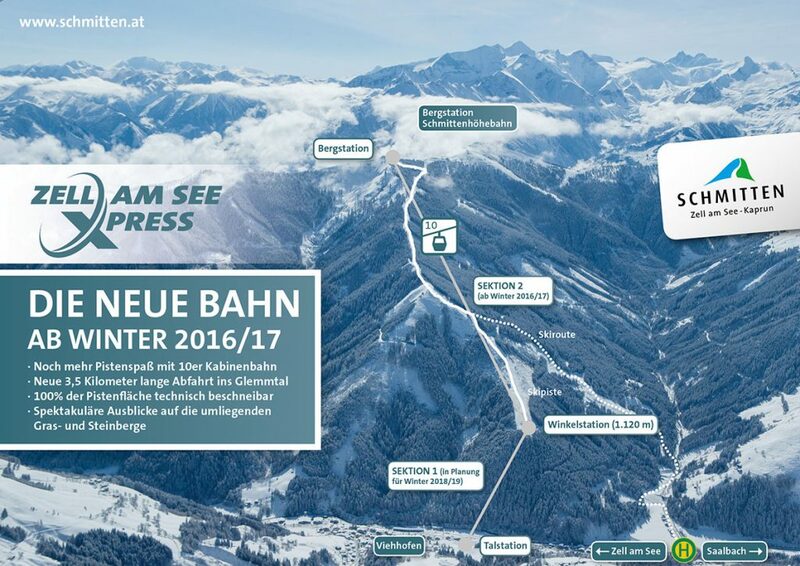 A new 10-seater gondola, the Zell Am See Xpress will give lift access to the re-opened downhill run, which was in use between 1930 and 1980. From this season a 3.3km red piste, equipped with snowmaking, will take you to the corner station above Viehhofen, from where the gondola heads up to the top station on the Salersbachköpfl at 1920 metres, giving access to the other side of the Schmitten, and the vast Saalbach-Hinterglemm-Fieberbrunn ski area. The second stage of construction will involve a lift from the valley up to the corner station. This is scheduled to be opened in the 2018/19 season. 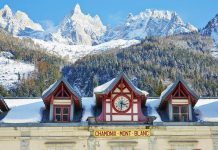 If you are looking to ski here this season, click below and we will get in touch with more information on the resort, accommodation and best travel tips! 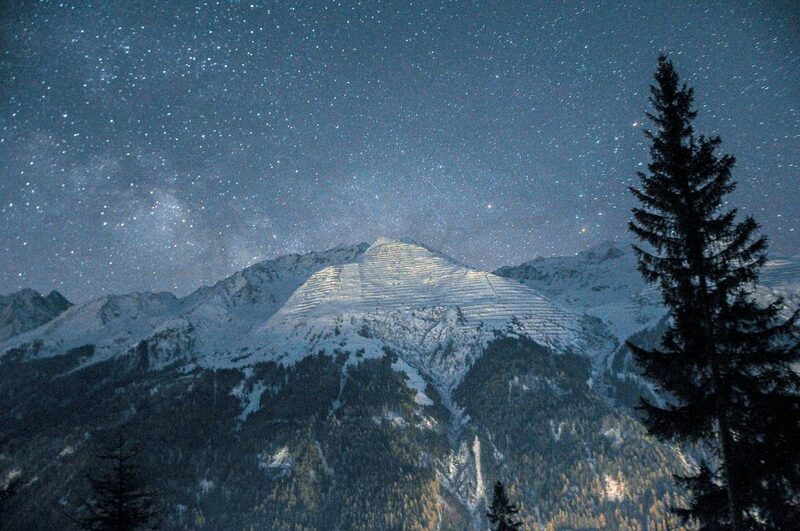 Just around the corner from our ski hotels in Kaprun and Zell am See is Saalbach (access via car hire). 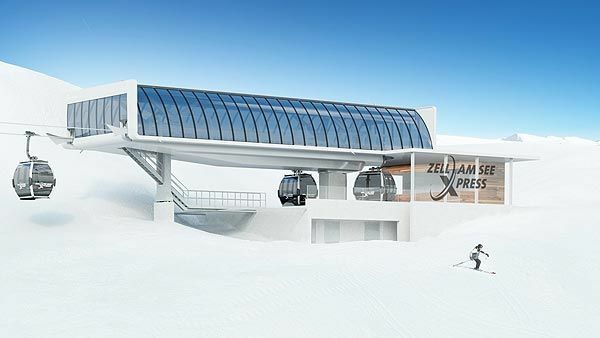 This year they are building a 10-seater gondola to replace the old Schönleitenbahn (in which you had to stand) and a 10-seater to connect the Zwölferkogel and the lifts in the area of the Westgipfel. Just down the road from our ski hotels is a new 10-person gondola will replace the old Giggijoch gondola from the town, significantly increasing capacity. The new 8-person chair in Ischgl in the Austrian Tirol will cross an existing chairlift “spectacularly” mid-journey. Pylon 3 of the new Flimjochbahn (which replaces a 4-seater), will also be Pylon 9 of the existing Hollboden 8-seater. The lifts will cross and then continue on their separate ways. So we have told you about getting up the mountain… how about getting down? Ski, nope. Gondola, nope. Zip Wire… YES! 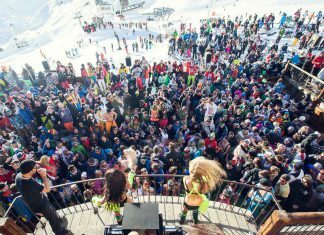 It’s not included in the lift pass and will cost adults €35 and under-17s €21. BUT THAT’S not all in Austria!!! 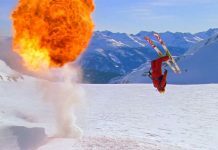 Say hello to the world’s biggest ski pass. 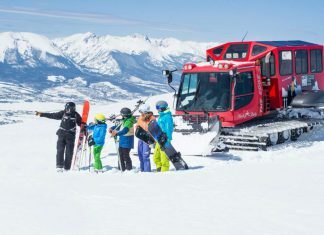 This is perfect for groups who are looking to hire a car/minivan and want to do some road trips to new resorts in the area and explore fresh powder runs. If you are looking to ski in Kitzbuhel, Kaprun or Zell am See this season, click below and we will get in touch with more information on the resort, accommodation and best travel tips! 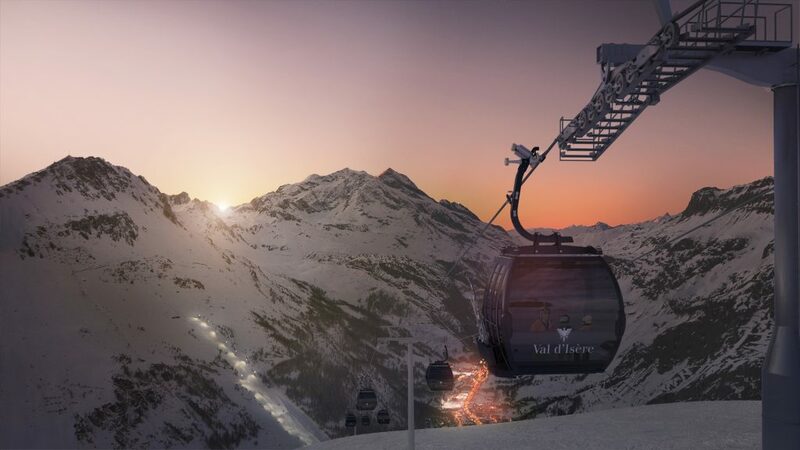 New gondola for 16-17 is the biggest news in a decade for Val d’Isère” The Solaise gondola is the last phase of the two-year €16 million redevelopments, reaching 2500m at the top. WiFi- time to share those mountain selfies. Choice of using the exterior baskets or inside space for your skis and boards to speed up loading time. It will also have less of environmental impact as they have reduced the number of lift stations from 8 with 34 pylons to just 2 with 16 pylons. Also, as the gondola machinery is buried underground, this significantly reduces the noise impact on our little inhabitant friends who we share the mountain with. 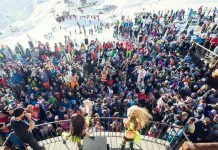 Find out what else is new in Val d’Isere this year. 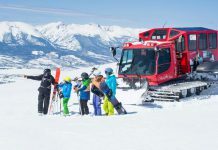 Klosters in Switzerland will be using lasers to control its new high-speed 6-seater chairlift in the Madrisa ski area.The idea is to make it more suitable for children, however small, and disabled skiers. A laser scans passengers as they move into the loading area to determine their height. The seat is then adjusted automatically to suit the shortest person on the chair! 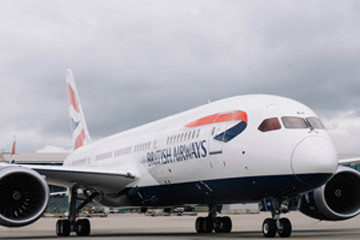 The technology is out of this world… however, what happens if you are 6,4ft and you get on the lift with a small child? We will have to find out this season! In Verbier in Switzerland, the slow 4-seater chairlift- La Chaux, is replaced by a fast 6-seater. That’s more time enjoying the slopes rather than sitting on the lift and getting cold. Thank you, Verbier. A 6-person chair between Sunegga and Gornergrat to replace the 4-person gondola, cutting the journey time by almost 40 per cent. A 10-person gondola replaces the smaller gondola to the Spielboden area, almost halving the journey time. 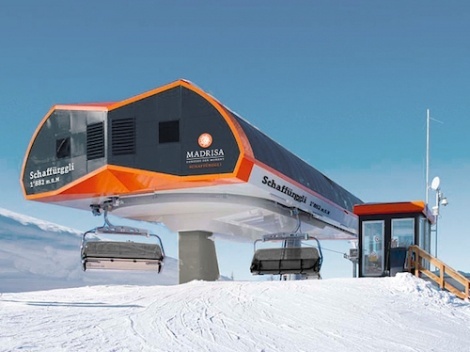 A 2km-long high-speed 6-seater chair will replace the longest T-bar in the Corvatsch area. 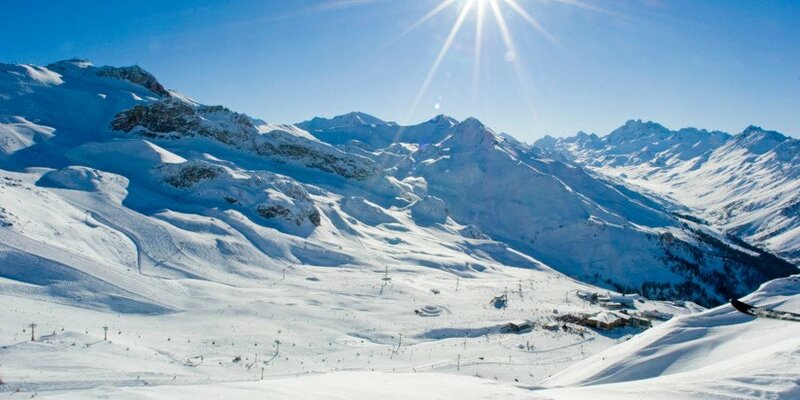 If you are looking to ski in any of these resorts, simply search our website below!